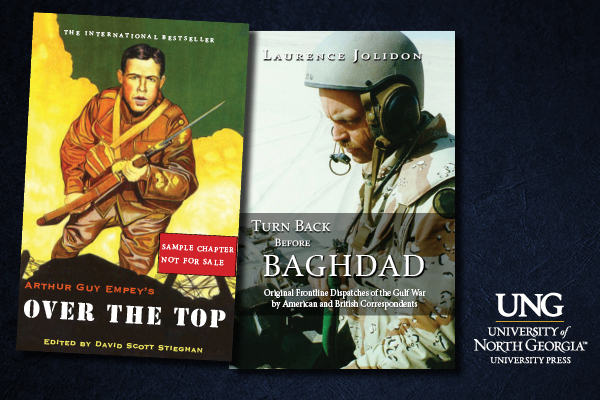 The UNG Press is releasing two war and military titles on April 6 and 18. The University of North Georgia (UNG) Press is releasing two war and military titles in April. The first release is a reprint of the World War I story "Over the Top," available on April 6, the centennial anniversary of when Congress declared war on Germany – officially entering the United States into the war. "Over the Top" was originally released in 1917, just weeks after the war had begun, and became a New York Times bestseller. "The book was heavily influential during its time. Interestingly, however, most people today are unfamiliar with the book, despite its fascinating story and readability. The UNG Press has partnered with Fort Benning's Infantry Branch Historian, David Scott Stieghan, to edit and annotate this book and a few other WWI books as a part of our Doughboy Series within our WWI Centenary Book Series," said Dr. BJ Robinson, director of UNG Press. The author, Arthur Guy Empey, served as an American in the British Army in the early days of World War I. After fighting in the trenches, he began writing short stories about his overseas military experience. Severely wounded in the line of duty and discharged soon after, Empey returned to America and compiled his stories. An estimated one million copies were printed from May 1917 through November 1918. 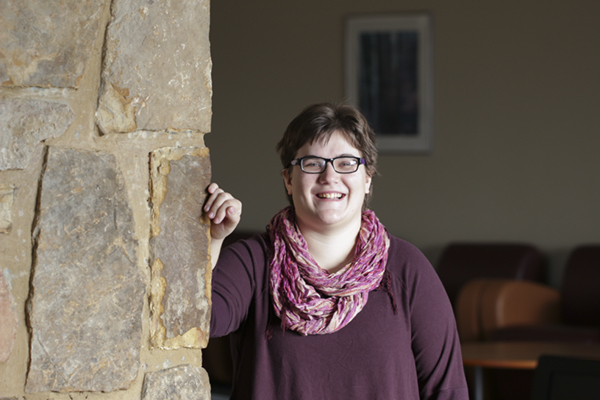 "We hope that today's readers will appreciate "Over the Top" as much as the original audience did," said Amy Beard, assistant managing editor of UNG Press. The book's editor, David Scott Stieghan, contextualizes the historical settings and environment for today's readers. Since 1999, Stieghan has worked on 28 Armed Forces Radio and Television Service Military Heritage spots, eight shows for the History Channel, nine shows for the Outdoor Channel, and 21 shows for the Military Channel as a technical advisor and subject matter expert. He also served as technical advisor for the mini-series "Truman" on HBO and "Rough Riders" on TNT. Stieghan will host a book signing for "Over the Top" on April 6 from 10 a.m. – 3 p.m. in the lobby of the National Infantry Museum in Columbus, Georgia. The UNG Press will also release "Turn Back Before Baghdad: Original Frontline Dispatches of the Gulf War by American and British Correspondents" on April 18. Written by war correspondent Laurence Jolidon, the book provides a compilation of eyewitness accounts of the unique moments captured by the media pool during Operation Desert Storm. For both the military and journalists, the media pool system was viewed with misgivings. It was seen by many on both sides as the best of several bad options for reporting the coming war to the American people and the world. "This book is a must-read for any historian of the first Iraq War, or for any reader who is curious about how the press really covered the war," Robinson said. 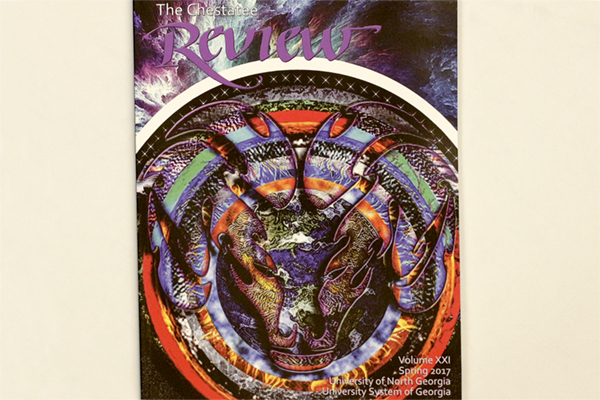 The UNG Press, a scholarly, peer-reviewed press, primarily functions to promote education and research, with a special emphasis on local and global cultures. The Press' partnership with the university provides a learning environment for students to gain real life experiences in publishing and marketing.